Prashant Bhatia, 36, is an IT Professional and was always active but, he was not at his optimum level of fitness. He was more of a weekend warrior and not too serious about a daily work out and moreover took things for granted. Until one day when he realised he was doing no good to himself and decided to rectify his habits and get serious about a good routine workout. The result of this change has been that he reduced about 10 kgs in about 8 months’ time and since then has maintained his weight, is active on a daily basis and eating and living healthy. 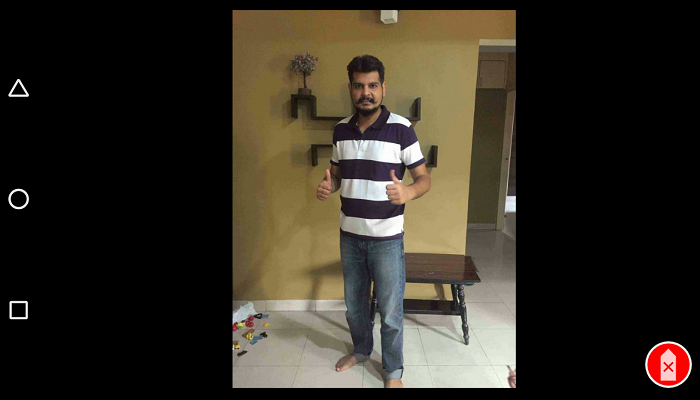 Here is Prashant’s transformation story in his own words. For a while, I was thinking of wanting to change the way I was physically and mentally. I was active but not consistent enough. Then I happened to read about GOQii on Amazon and the way they managed your health. I learnt that GOQii was more than just a fitness tracker. It did not just help in tracking your daily step count but also guide you on how to lead a good lifestyle. I was quite impressed with what I read as I was looking for something like GOQii. I was looking for more guidance coming my way to improve the way I live. In September 2015, I went in for a 3-month subscription of GOQii. At this point in time, I weighed around 83 kgs. My weight more or less hovered around this level. I chose Jyoti Kumawat as my coach. In our first intro call, she asked all about my daily routine, what I do, what I eat, when I eat etc and after that call, I realised so many things for changed drastically and changed for the better. Just to give you a perspective, before I came on board GOQii, my day used to start with tea and biscuits as breakfast. Fried food at times. I never ate salads, milk or buttermilk. Fruits were nil from my diet All that has changed with me eating healthy food and being active on a daily basis. I now take time out to go a daily walk or a jog. Lots of foods have been added to my daily diets such as Milk, dry fruits, salads and fruits. Fried items are deleted from my diet list and I have started having buttermilk as well. My urge for tea has also reduced and if I do crave for a tea then I have plain green tea. These changes were implemented slowly and not all in one go. We proceeded one step at a time. My coach has done a fantastic job and I followed everything she said and hence this positive change in me. Initial 4-5 months I still hovered around my weight of 82-83 and then gradually as two months passed I started reducing and I have now lost around 10 kgs and I am maintaining my weight at 71-72 kgs. One and half years since I am on GOQii and I can proudly say, I feel good about myself as my lifestyle has changed for the better and I am more healthy. I have been jogging or walking at least 8-10 km a day. I then suddenly developed a knee issue (ACL Sprain) due to which I had to go in for treatment. I took complete rest for 3 weeks and did not train my legs. During this time my coach recommended that I start taking Curcumin extract which will reduce the inflammation. That helped me. Overall, I feel awesome. I can definitely wear the jeans that I used to wear earlier because it would not fit and all. So I’m liking it. I can tuck my shirts in the jeans which I didn’t earlier as I was on the heavier side. I definitely feel better and lighter. People around me too have seen the change and me. My colleagues especially have seen the change as I have stopped eating junk food, fried food etc. I have learnt a lot from my coach and I am thankful for that. The reason today, I feel positive is that it’s not about just getting guidance from a coach but also that you yourself abide by what is being told to you. I had not followed what my coach told me I do not think I would have seen the positive results in me. I realised a lot of this has to do with your own self-motivation and willpower to change things for the better for yourself. My goal when I bought the GOQii was to get into best shape physically, run a marathon and am I glad to say that I achieved both my goals within a year’s time of being on the GOQii platform. Six months ago I ran my first 10 km run and I was able to do this purely by walking and jogging daily and slowly building on that. I thought if I can do more in terms of maintaining my physique and my muscles by eating right, I think I will go long way. So going forward my intention is that. What does Coach Jyoti Kumawat have to say about player Prashant Bhatia? It feels so great when I roll back my eyes to the time when Prashant came on board, in September 2015. His health goal then was “Optimum fitness and Fat loss”. This was really a broad term as a goal….as he did not have a specific target in terms of his stamina, flexibility and eating habits. But, we started working on simpler habits like stretching and simple food habits like lemon warm water and as time passed he had a better view of his health goals. He started with 83 kg weight and within 6 months he lost 10 kgs weight and inches from his whole body and is now maintaining that 70 kg weight. I remember I used to tell Prashant that “I will make sure you run marathon”, and he used to laugh it off. I motivated him and made sure he trained well and ate healthily. Today, I am so proud that he did participate in a 10 km marathon organised by one of the large sporting stores in Mumbai. Prashant’s story started with simple changes in workout adding stretching and warm up pre workout and post workout cool down, then adding cardio, interval training to improve stamina and later on started with strengthening for stronger muscles. Giving different types of workouts- HIIT, Tabata, meditation for relaxation and yoga for flexibility has made him more dedicated towards his fitness and stamina. Starting from 3-5 kilometres walk, now he jogs around 7-10 kilometres daily. In addition to this he now also has pre and post-workout meals for better recovery and this has helped him gain better stamina. existing reliable SER campaign layout that I’m competing our all parasites. It’s a great article.Thanks for sharing.Last day I have gone through one article which was really a motivation and was concentrating the philosophy of life and it’s one of the best lifestyle blogs. your post was very useful for dieting. I appreciate your writing. this post also motivates people for body building. One of the best motivational story i have ever seen .This post makes me feel stronger. We need to work smarter, not harder.